Your Hosting & Domain Reselling Business, Powered By Us. The platform allows you to select the products, set your selling prices and profit margins. Zero activation fees or deposits, you use whatever amount you transfer to your account. Get access to a number of Payment Gateways, no hassles of technical integration with APIs. Brand all client facing communication like mails, websites, cPanel, etc., we remain 100% hidden. Slab based pricing for all TLDs. The more you sell, the more margins you make. Connect with our product experts any moment of the day, week or the year. Easy-to-use inbuilt customer billing & invoicing engine and easy integration with WHMCS. Provide your customers with fully branded accounts to manage their domain orders. Seamless migration from your current reseller account, we assist you in the bulk transfer. Add shared hosting to your product offerings, the webs original entry-level product for your clients. Cater to all your clients through Reseller Hosting, providing them with custom-branded individual cPanels. Provide pre-installed WordPress hosting for your customer blogs. No installation needed for setting up WordPress. Empower your customers with the full Google Business Suite or G Suite, which includes all the Google productivity apps. Provide powerful email solutions to your clients with domain products, perfect cross-sell every domain. Why be a Domain Reseller ? Integrate domains & hosting products into your current business. As you increase your volumes, you will earn better margins and make make higher profits. 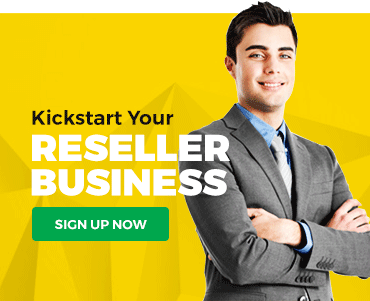 ResellerClub's domain reseller program is just awesome because they have such great domain promotions running throughout the year! Their platform makes it very easy for us to manage a large portfolio of domains.